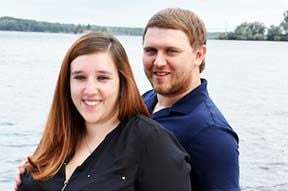 Bill and Lisa Lent and Todd Ullman, all of Cobleskill, New York, are pleased to announce the engagement and upcoming marriage of their daughter, Nicole Ullman of Memphis, Tennessee, to Justin Newman of Memphis. He is the son of Ray and Lori Newman of Olive Branch. The wedding is set for Sept. l1, 2019 at 3 p.m. at 1000 Islands, New York. The bride-elect graduated from Christian Brothers University in 2016 and is currently employed as an accounting associate by a chain of family-run movie theaters.